Tiny Ranker rank tracker has been developed with the clear vision of creating a simple, yet powerful SEO tool that gives you the information you need. Nothing more, nothing less. We have been developing Tiny Ranker since the beginning in 2013. Our goal is to create a tool which gives you a clear indication of your Google visibility and the many things you can do to improve it. 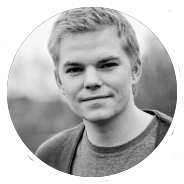 Anders will do any type of programming based project, and he's not afraid to test out new technologies. Luckily, Tiny Ranker provides him with plenty of opportunity. 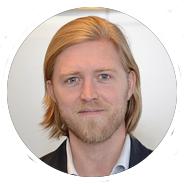 Erling is our marketing guy, doing outreach and closing deals. He loves Tiny Ranker and wants to see it grow into the most widely used SEO tool on the planet. Ready for takeoff, captain! We are based in Frederikshavn, Denmark. Should you find yourself in our neck of the woods you are welcome to drop in. There will always be coffee ready on the brewer. We are thrilled to use Tiny Ranker rank tracker as our primary tool for ranktracking and reporting of our ranking results on a month to month basis. The guys from Tiny Ranker are very service minded, and are constantly contributing with new features that we can put to use. We can definitely reccomend this tool! Tiny Ranker helps us monitor and improve our organic rankings across many keywords. Simultaneously, we are able to compare our rankings with our competitors within Digital Signage - both organic and their paid keywords. Tiny Ranker is a user friendly service we use on a daily basis.